So far Ni QUA has created 4 blog entries. Check out the video by Jam Pangilinan. Here are some photos from our DIY Workshop for our friends from the Press last Oct 29. 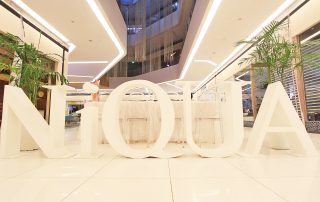 Thank you so much for our partners Craft Party, Early Bird Breakfast Club, Green Solar, Juice Hut Manila, Haute Flora, jampangilinan.com and Takatack for making this workshop a success. 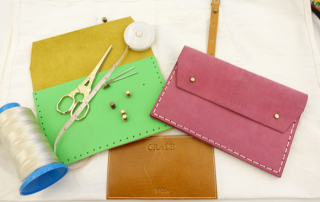 DIY Bespoke Your Ni QUA lets you make your own clutch. 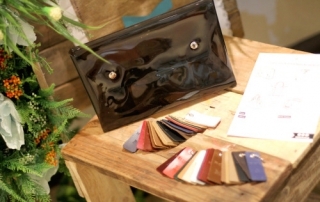 If our home economics teacher gave us pieces of leather to turn into pretty clutches, we would’ve most likely aced our sewing lessons (why would a 12-year-old be eager to sew a throw pillow?). 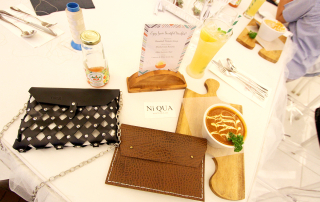 This was what we realized after spending a day putting together a leather clutch at the DIY Bespoke Your NiQUA workshop at their pop-up shop in Century City Mall. After our successful Workshop Party, we followed it right away with a collaboration with Nica Cosio and Mia Sison of Craft Party PH for a morning of fun and DIY-ing our way to creativity!